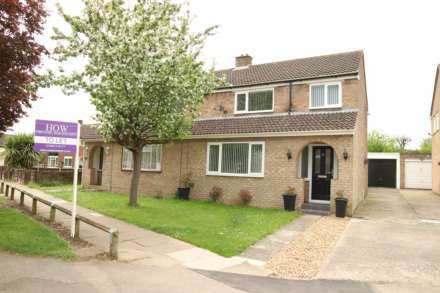 POTENTIAL TO EXTEND SUBJECT TO PLANNING......Homes on Web are absolutely delighted to announce to the market this three bedroom semi detached property situated in the popular Water Eaton Road, Bletchley. Located just minutes away from local shops, sought after school catchments, recreational parks and canals providing beautiful walks and amenities such as community halls, doctors, a church and local vets. Also close by is Bletchley Town Centre which is home to a variety of popular shops and restaurants and just under a mile away is Bletchley Mainline Train Station serving London Euston. This property really does tick all of the boxes you would want for a family home. In brief this property comprises; Entrance hall, lounge, kitchen and dining room. On the first floor there are three good sized bedrooms, a separate WC and shower room. Outside there is a rear garden perfect for entertaining and a driveway providing off road parking for approximately two cars. Internal viewing is highly recommended to fully appreciate the accommodation on offer. Double glazed front door. Double glazed window to front. Stairs rising to first floor accommodation. Under stairs storage cupboard. Radiator. Doors leading to lounge and kitchen. Double glazed bay window to front. Feature fireplace. TV and telephone points. Fitted in a range of wall and base units with complementary worksurfaces. One bowl stainless steel sink and drainer with mixer tap. Space for cooker, fridge freezer and dryer. Plumbing for washing machine or dishwasher. Tiled to splashback areas. Tiled flooring. Radiator. Door leading to pantry. Double glazed door leading to rear garden. Double glazed window to rear. Double glazed window to side. Airing cupboard housing wall mounted boiler. Doors leading to first floor accommodation. Double glazed bay window to front. Built in wardrobe. Radiator. Double glazed window to front. Built in storage cupboard. Radiator. LLWC. Double glazed frosted window to rear. Fitted in a two piece suite comprising; Wash hand basin and double shower cubicle. Fully tiled. Double glazed frosted window to rear. Radiator. Patio area. Enclosed by wooden fencing. Gated access to front. Mainly laid to lawn. Driveway providing off road parking.